Olga, Thank you for your thoughts and suggestions for more exploring. 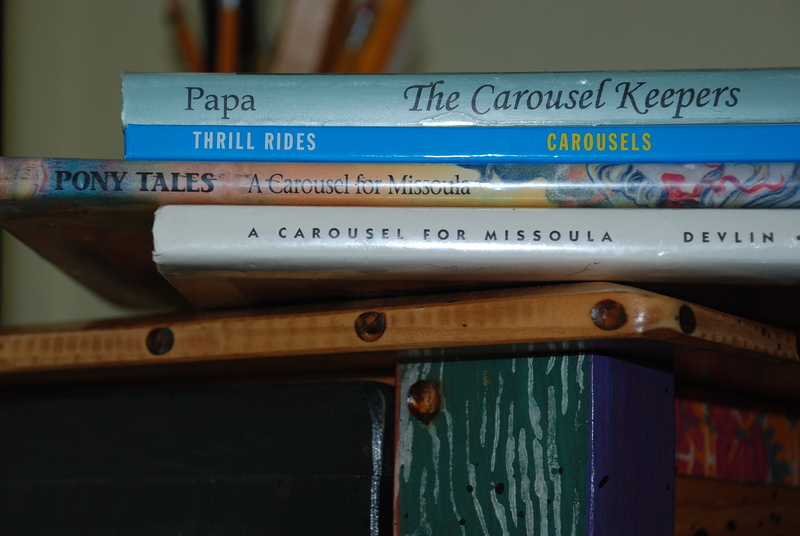 My visiting the outside world of the artists who create carousels was a pot stirring experience for me, as well. The world of folk artists is an unending store of stimulation and often gets my artist self awakened when a lull has overcome my muse. A good carousel ride will now be a place for me to disappear throughout the year. And, thanks for reminding me of Brian Wildsmith – always at the top of the list for my children and the children who visited the rural library I managed for many years. I find it interesting how certain aspects of art are so universal. The horses of merry-go-rounds I find can be both attractive, positively magical; but also potentially menacing when the lights and the music are off. As menace is also a fundamental of folk tales, that too makes carousels an important element of the early explorations of our imaginations. Thank you for providing such a rich starting point for what I have found to be a most entertaining and thought-provoking exploration.